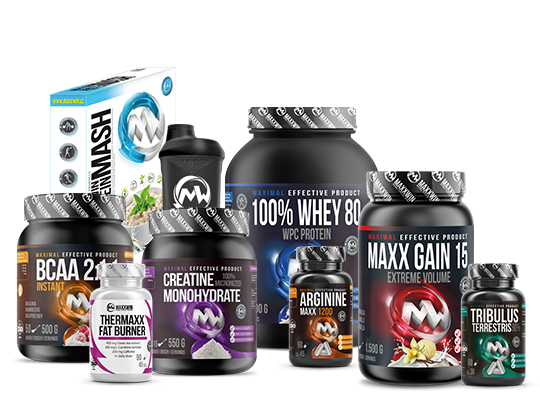 MAXXWIN (www.maxxwin.cz) was established on the basis of our experience with the distribution of sports nutrition. As a direct reseller, we had close to its customers, we have drawn from their knowledge and experience, but we needed to quickly respond to their suggestions. The dealer position is unfortunately often not feasible for that. Therefore, we decided to go a new way, and offer our customers sports supplements according to their wishes. Our target group are not only regulars fitness centers, but our products are already seeking by cyclists, football players, swimmers and fans of martial arts. Our suppliers are regularly testing the quality of raw materials, and therefore we can guarantee the superior quality of our products. We are randomly making internal controls in production of our suppliers of war material, to make sure, everything is making correct and with the hightest quality. Sports nutrition is a unique field, which has in recent years developed very rapidly, therefore it is very important to us the quality and functionality of our products. We are in creating our products primarily focused on raw materials, which functionality was verified by long-term use by amateur or professional athletes. That‘s why we can offer supplements that actually work! MAXXWIN is entirely Czech company that meets standards of the Czech Republic and the European Union.